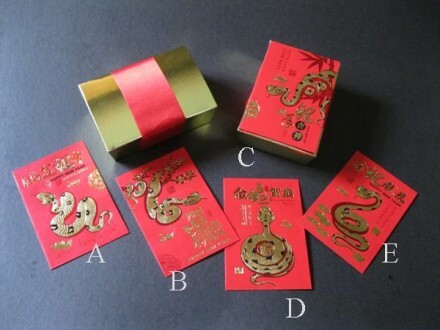 Gold 6pc truffle box decorated with wide red satin ribbon and Year of the Snake hong bao envelope. *Hong bao envelopes are limited. Choose from A-B-C-D-E.